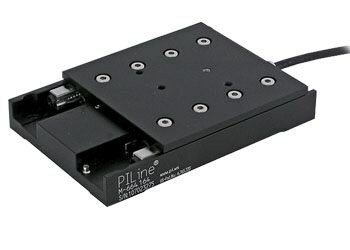 These miniature lineear stages, are based on a compact high precision piezo linear motor. It provides forces to 10N and 10mm/second velocity with autolocking for excellent in position stability, all unique features for a positioner that small. The ultra low profile of 15mm is another advantage.